Is Smoking Affection Your Vision? Smoking is bad for our health. We all know this. It has been drilled into our brains time and time again. Smoking can lead to lung cancer, COPD, heart disease, strokes and much more. But did you know smoking can also impair your vision? Here are few ways that smoking can damage your eyesight. Cataracts: Studies have shown that smokers significantly increase their risk of developing cataracts (clouding of the eye’s natural lens) compared with non-smokers. 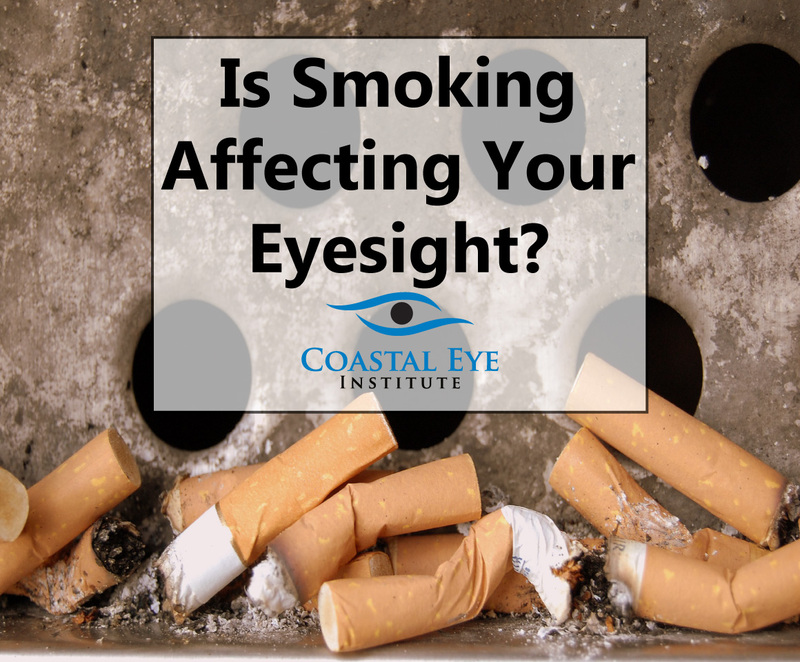 In fact, it has been shown that smoking can as much as double your chances of forming cataracts. Macular Degeneration: Age-related macular degeneration (AMD) affects the center of the retina, which is responsible for producing clear central vision that is needed for everyday tasks. Studies show that smokers can triple their risk of developing AMD compared with people who have never smoked. Diabetic Retinopathy: More than 5 million Americans age 40 and older have diabetic retinopathy due to type 1 or 2 diabetes. Smoking may as much as double the risk of developing diabetes. There is a casual link between smoking and both the development and progression of diabetic retinopathy. Dry Eyes: Dry Eye Syndrome occurs when there are insufficient tears on the eye’s surface. Tears are needed to keep the eye lubricated and healthy. Symptoms of dry eye can be redness, itchiness, a “foreign body’ sensation and even watery eyes. Tobacco smoke is a known eye irritant and can worsen dry eye. People who smoke are twice as likely to develop dry eyes. Are you ready to quit? For more resources on how to quit smoking, visit https://smokefree.gov/. Take back your health today and be sure to get your annual eye exam!